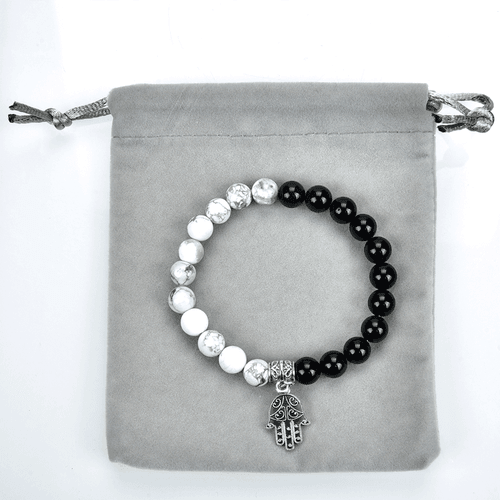 Black Onyx & White Magnesite 8mm Beads Stretch Bracelet Design Black Onyx & White Magnesite 8mm Beads Stretch BraceletCustom Lanyards with high shine finish that makes them stand out from crowd, a great product for promotional events. Your degin or logo will stand out good due to its shiny finish. 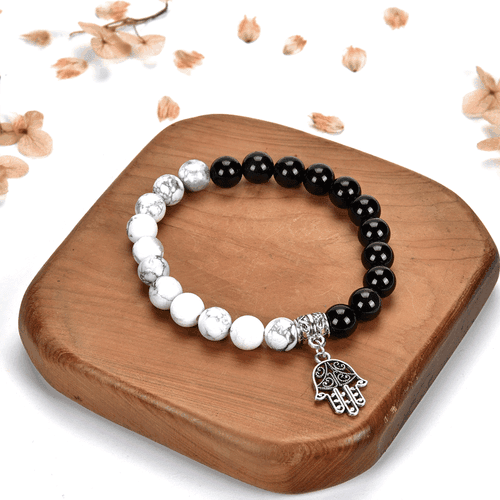 Black Onyx: 8mmn diameter, White Magnesite: 8mm diameter, Stringed with good quality and durable elastic cord. 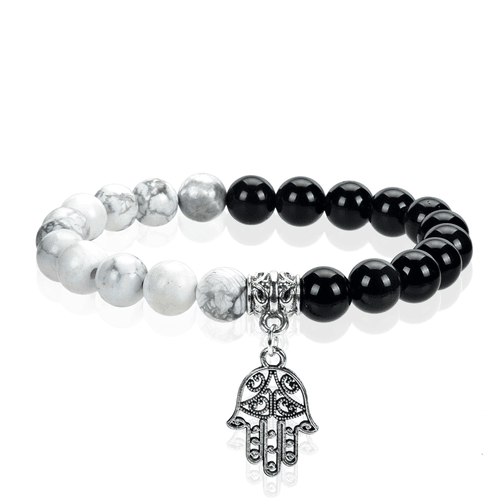 Description: This bracelet is made with smooth natural Stone Agates Onyx Stone round beads and White Magnesite beads. Black onyx is a strength-giving stone and can provide support for self-discipline issues, also fortifies self-confidence and sharpens the senses as well as helps in realizing painful emotions. Magnesite brings a calming effect to the emotions, promoting tolerance for emotional stress, it brings grounding to the intellect and helps to recognize unconscious thoughts and feelings. It induces a positive attitude to life.